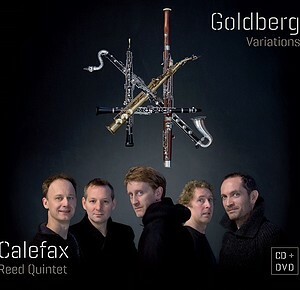 Goldberg Variations | Calefax Reed Quintet | Dispeker Artists, Inc. The entire Goldberg Variations by J.S. Bach, arranged for reed quintet by Raaf Hekkema. This CD includes a DVD with Raaf Hekkema talking about the piece and his arrangement, and a PDF-file (visible on computer) with the full score of the arrangement.